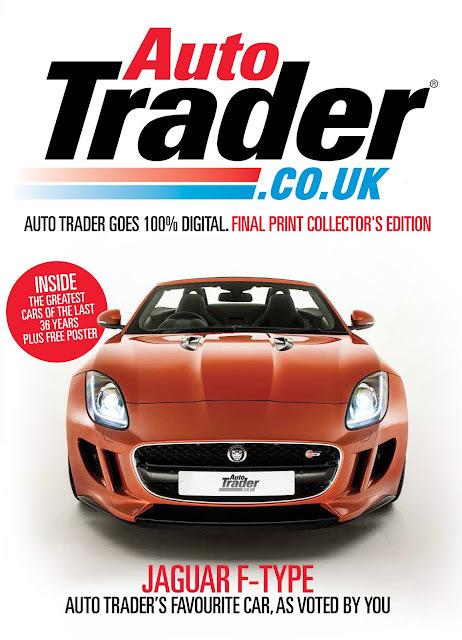 Autotrader is going digital and this will be its last ever cover. A generation of us remember fondly buying Autotrader not just to buy a car but to 'window shop'. But we've all moved over to using the internet to buy cars. Autotrader asked its readers which car from the past four decades should feature on its final cover. 47,107 entries were submitted with a maximum 5 votes each, and 27,100 of those votes were for the Jaguar F-Type.